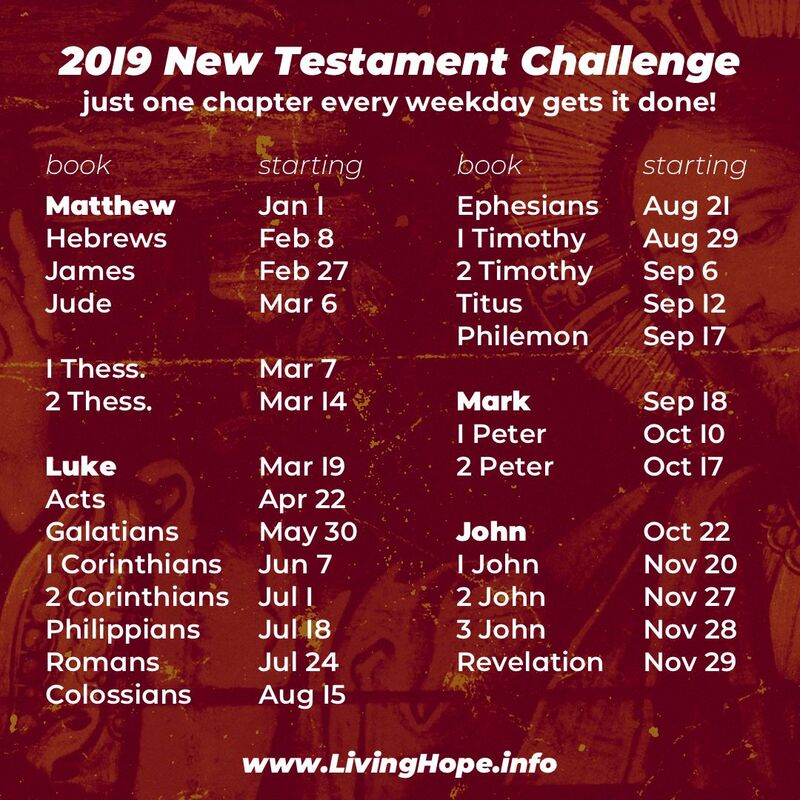 Join us in 2019 for a journey through the stories of Jesus and his earliest followers as we read the entire New Testament (the NT) together, one chapter every weekday. That’s only 5-10 minutes of reading each weekday, with the weekends off to catch up. Anyone can do it! Join us for discussions on Sunday morning or in our Wednesday night Bible study… or you can join the discussion online at Facebook.com/groups/2019NT.